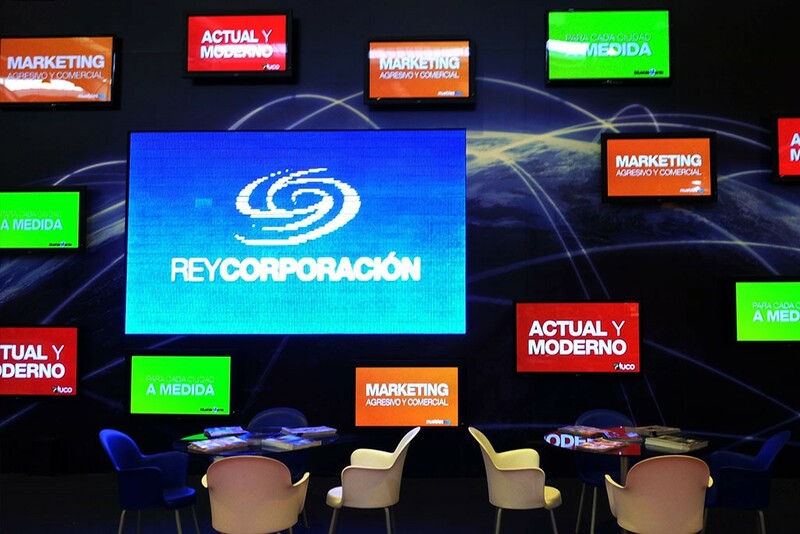 Rey Corporación wanted an stand that capted the attention of the people that came by the perpendicular path. 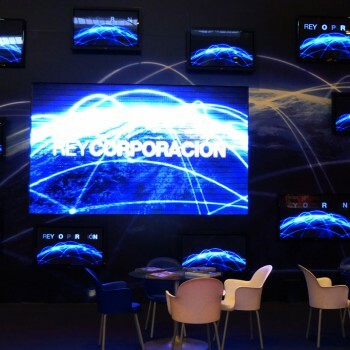 Because of that we planned a videowall with many syncronized screens. 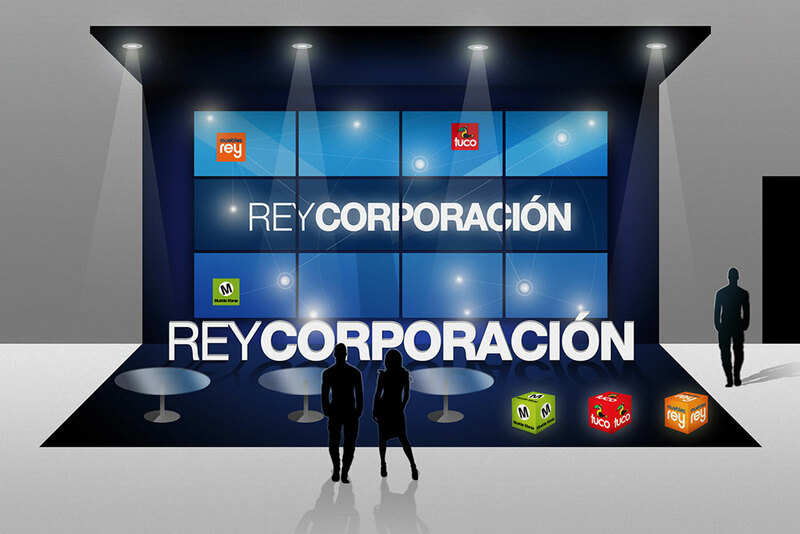 Our work was based on the idea to build an atractive stand, so we made the design and also the structure management to build it. 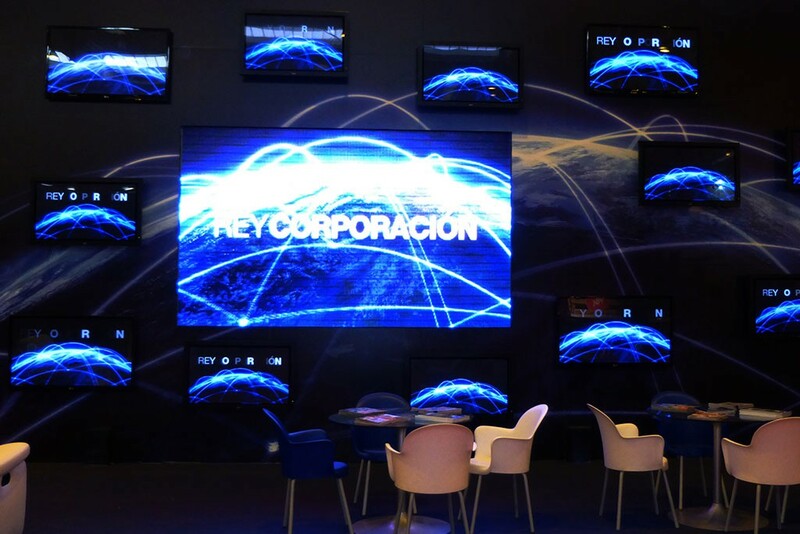 Furniture Expo Zaragoza 2014. 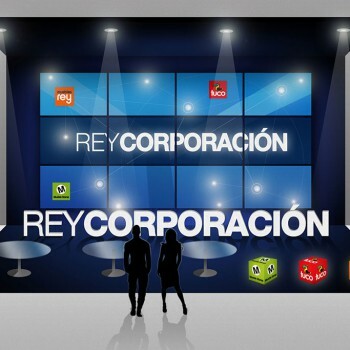 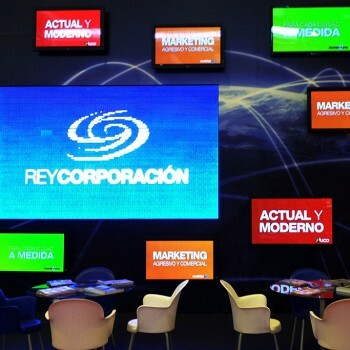 Rey Corporación are many companies of the furniture business.